When it comes to problems like plumbing leaks or flooding, 911 Restoration Salt Lake City is well-versed in repairing and restoring water-related issues. While the hot and humid summers make Midvale ideal for outdoor recreational activities, unexpected problems like pipe bursts or toilet flows at home can make it difficult to have fun in the great outdoors. Luckily, you can rest assured that the IICRC certified technicians can take care of these problems quickly and efficiently. Our crews are constantly trained to provide only the highest quality of water damage restoration services to the homeowners of Midvale. The moment you suspect a section of your home has sustained water damage, our services are available 24/7 and our team will respond within 45 minutes of your call to provide you with an immediate solution to your problem. 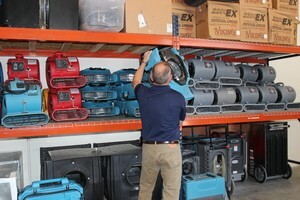 We will respond to your concern as quickly as possible to avert water damage from causing further problems. We want to protect your number one investment – your home. When our technicians arrive on site, you can expect them to provide you with a free thorough inspection and estimate to give you a better understanding of the issue. Make sure that you thoroughly clean your gutters and downspouts on a regular basis. This will help prevent clogs and ice dams that cause water to spread to the layers of your roof and become leaks on the ceiling. Regularly check the foundation of your home for any signs of cracks or breaks. Detecting this problem early on can help you avoid costly foundation repairs in the long run. Make sure that your pipes are sufficiently insulated so they won’t freeze or burst during winters. Check the rubber and plastic hoses and connector on water-based appliance so you can detect any signs of wear and tear before any leaks can form. We are your friends when it comes to keeping your home safe from water damage and these prevention techniques can go a long way in helping you mitigate water-related issues. Time is of the essence when addressing plumbing issues and leaks. 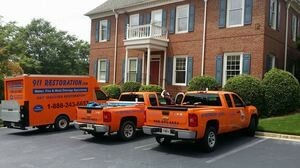 A quick response from our team will eliminate the danger of damage spreading to the infrastructure of your walls. We can provide our quality water damage restoration services by making use of the latest drying technology. We will also be working with your insurance company in order to provide you with an affordable price. When you detect any signs that water is causing problems within your home, calling 911 Restoration Salt Lake City is going to be the best solution. Get the peace of mind that our team will be working to give your home a fresh start. If your home or office is already awash in flooding, then contact our water damage Midvale team with 911 Restoration Salt Lake City and let the experts help you today!